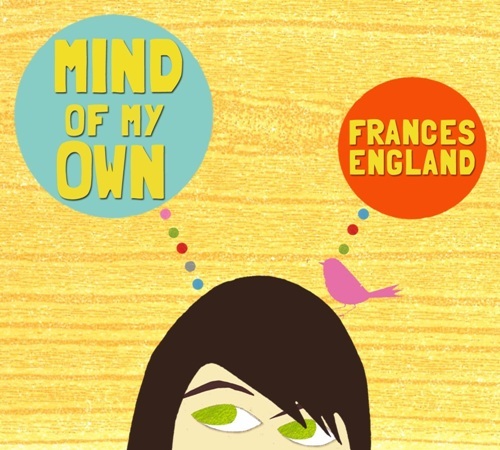 I’ve been known to listen to Frances England in the car, sans kids – she’s that good. Frances England is kindie music royalty. 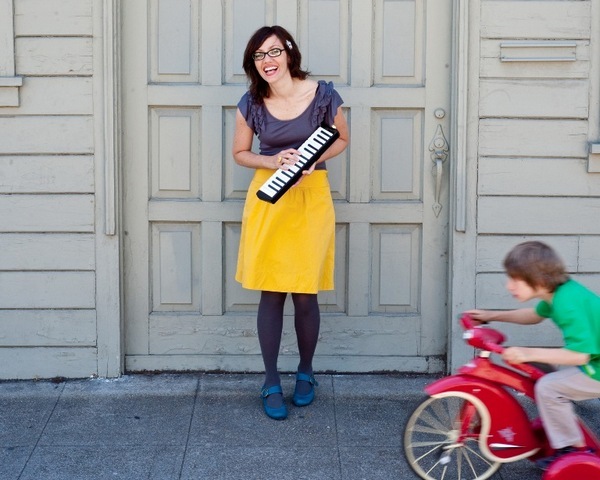 She’s been on the juice box circuit since 2006 and has won a swag of awards and thousands of fans for her kid-centric folk tunes. Amazing, given that England’s first album was a fluke. England recorded some songs for her son’s preschool fundraiser (hmmm… my kinder’s sausage sizzle kind of pales against this!) and within months her debut album, Fascinating Creatures was launched and scooping awards. Family Tree followed and most recently, Mind of My Own. I am loathe to draw comparisons between England and other artists, simply because I think she really stands alone. However, if I were pushed I would say that if Lisa Loeb, Angie Hart or Suzanne Vega are your cup of tea then you’ll love this (plus add a little Bic Runga intensity and Jewel’s country and western touch). About a third of the songs on the fifteen-track Mind of My Own are obviously for children – lyrics about bicycles, ladybugs, cookies and milk and family car trips. The biography-come-tune about Jacques Cousteau is quirky genius. My kids love the song Pieces of Me which describes all the things found in children’s bedrooms. The reference to ‘..Legos, fairy princess dolls and My Little Pony…’ gets full marks and invariably my children go through a little roll-call of their favourite things after we’ve listened to this song. My personal favourite is Red Balloon. It’s a song about growing up, with random things associated to children of various ages – I suspect that much of this song is based on England’s own experience! Lastly, I’m always a bit of a sucker for a ‘parents love song’ and All the Ways is without doubt the sweetest I’ve heard to date. I use the term ‘love song’ loosely – All the Ways is not a sappy ballad but a fast-paced ditty about all the ways you can tell someone you love them, from making them a gift from recycled containers to giving them a big squeeze – keep that in mind mums next time you are faced with a box construction the size of the Sydney Opera House at kinder pick-up! I’m quite sure if more brides-to-be had listening access to England, All the Ways, would be popping up in a few groovy wedding ceremonies. The clip below is a specially recorded song, Daddy O. The track is not included on Mind of My Own but gives a good indication of England’s style. Mind of My Own is $16.99 and is available through iTunes.